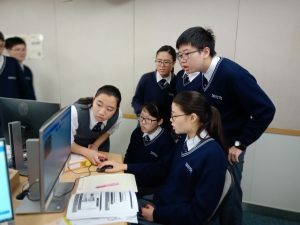 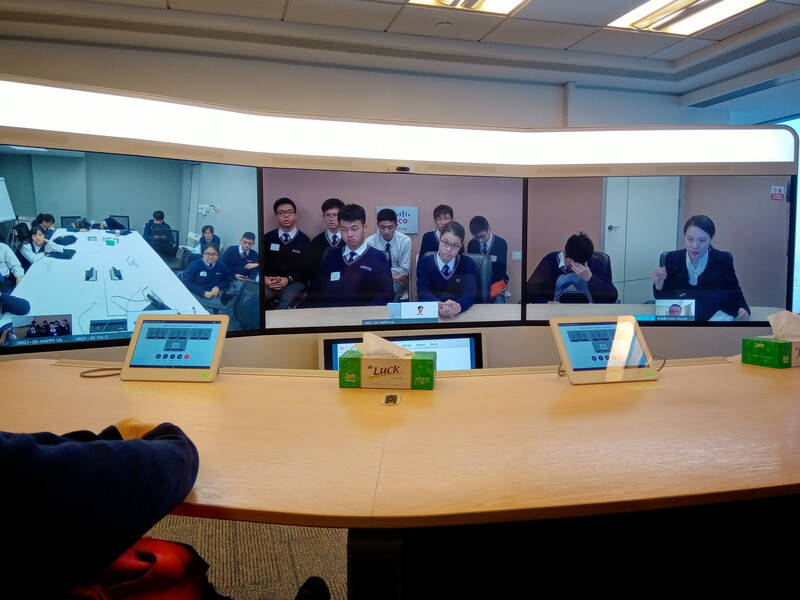 On 11 January 2019, 11 F.4 ICT students, 12 F.5 ICT students and their ICT teacher attended the event “ICT 創科體驗日(高中同學) – 物聯網科技顧問+參觀 Cisco HK” organized by HKUSPACE. 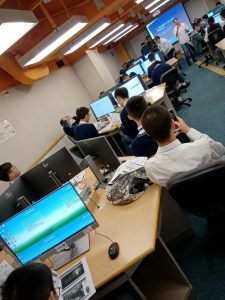 In the morning, they learnt to understand some fundamental knowledge about Hong Kong Qualifications Framework (QF) and some career pathways in the ICT industry from a HKUSPACE college lecturer. After that, students had some hands-on experience in learning to use micro:bit, a board embedded with a processor and a few built-in sensors. 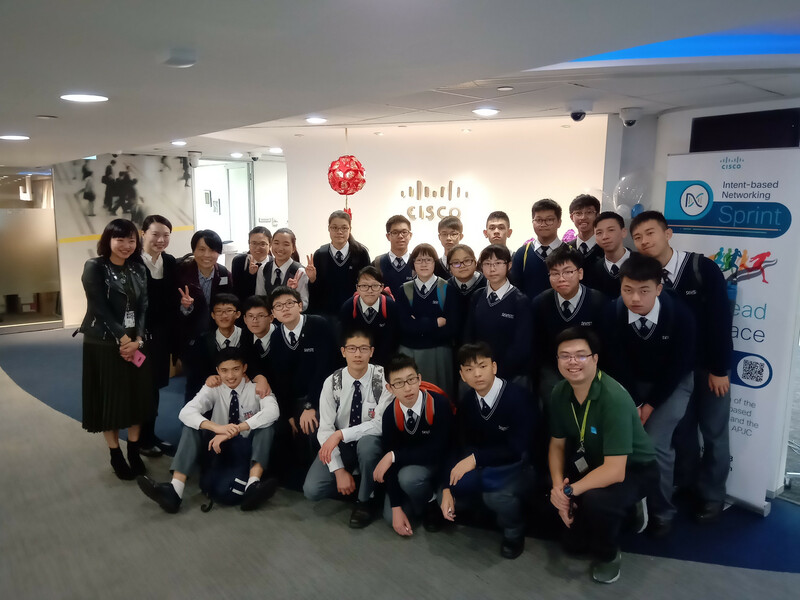 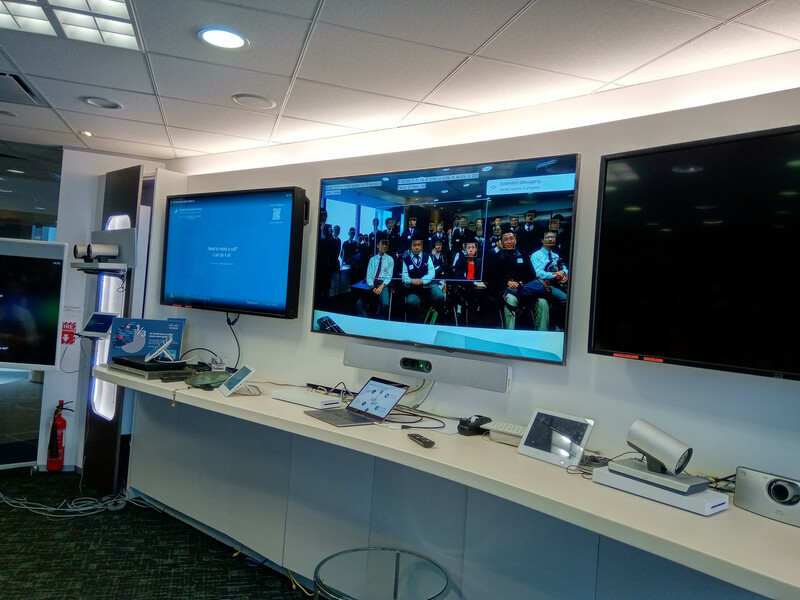 In the afternoon, they visited the office of Cisco HK, a multinational company developing, manufacturing and selling networking hardware, telecommunications equipment and other high-technology services and products. There, experienced using a smart camera with the capability to zoom in and position the speaker automatically in video conference rooms.